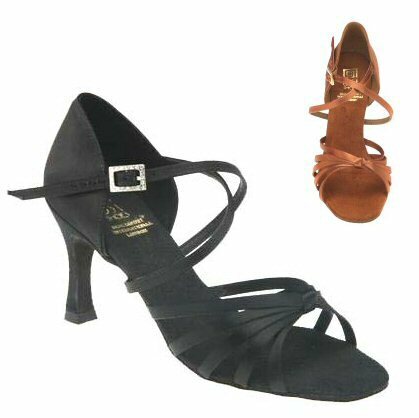 3-way strap, flexible sandal. Strap can be worn in two different wrap-around positions as shown, or cut to an ankle strap. Heel height is measured at front, so in reality they have approx 0.3" more at the back. For example: 2.5" heels, in reality have 2.8" at the back.